You likely are aware of online reputation management (ORM), but there are many misconceptions about it floating around. Some businesses assume that it’s all about monitoring a company’s social media accounts, others believe it involves public relations, and some have never heard of it and have no idea what it can do for a business. To help marketers better understand the importance of ORM, MDG Advertising just updated its popular infographic, Online Reputation Management 101: What Businesses Need to Know, with the most current information for 2018. As recently as several ago, the way companies interacted on the Internet was very different than it is today. They didn’t engage with their customers, the communication chain was very flat, and it wasn’t possible for customers to express their opinions in a way that could impact the company. However, there’s been a massive shift. Companies today are no longer static, and they’re engaging with their customers on entirely new levels. Customers now have a platform that enables them to state their opinions and allows other people to see and respond to their comments. They’re tweeting or blogging about a business’s products and services, and they’re leaving feedback—good and bad—on a company’s Facebook or business page. This engagement can have a significant impact on your marketing efforts, and an effect on your company's reputation. If you think you can ignore customers’ posts, feedback, praise, or criticisms, hoping that anything negative will just go away, you're mistaken. This is where online reputation management becomes an invaluable tool. Businesses are shifting their focus from being closed down and unapproachable to being transparent. One study showed that customers are 94 percent more likely to have loyalty to a company that is totally transparent. Additionally, 73 percent of people say they’d pay more for products from a company that’s honest about the product’s capabilities. Being transparent allows a company to handle both positive feedback and criticism effectively, as long as it embraces ORM and learns how to work with it. So, what does transparency mean? It includes things like allowing your employees to publicly talk about your products and services, asking for feedback, addressing any criticism publicly, and establishing a one-on-one channel of communication. This can be a difficult concept for many companies to grasp, but this is where online reputation management companies excel. The Internet gives people a platform to voice their opinions in a way they’ve never had. This includes posting good and bad reviews. No matter how good your business is, you simply won't be able to please everyone. 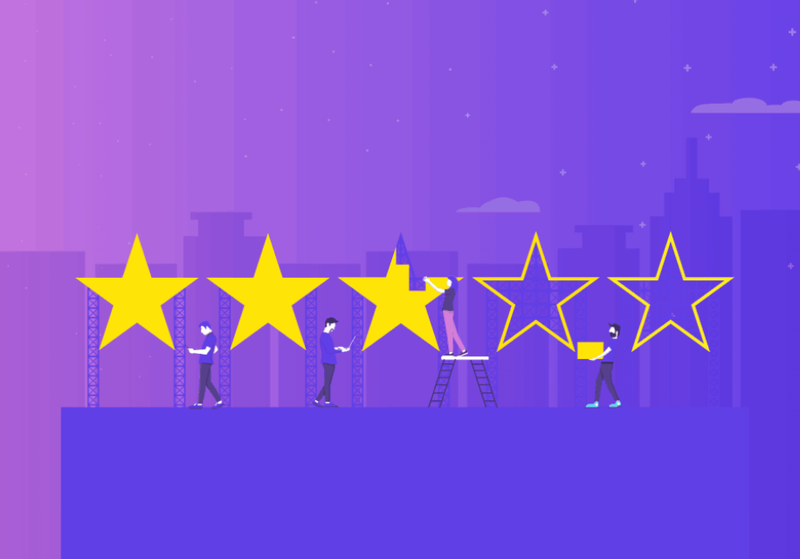 When you get negative reviews, you must address them in a professional and courteous manner, and this can be difficult if your products or company are being attacked. The first category is fielding and dealing with negative commentary on social media networks. These comments or complaints are usually relatively easy to address, and they typically don’t pose a huge problem for your company unless it already has problems and you haven’t addressed them. On the other end of the spectrum, there are reputation bombs. These are things that can do significant damage to your company’s sales and reputation. They are far more powerful than the social media platform comments because they have the potential to show up on the top of the search engine results pages (SERPs) when a potential customer searches for your business. Hate Sites: Some people are so dissatisfied with a company or its products that they create websites with their personal opinions. They can include false or misleading information about the company or the company’s public reputation. If people search for your company and get results like “ABC Company Is a Scam,” it can scare potential customers away. Negative Media Coverage: If your company receives negative media coverage, it can be extremely damaging. Negative media coverage has the potential to have a far wider reach than any unfavorable comments or criticism on social media networks. Negative Reviews: There are dozens of review sites that allow customers to express their opinions and their satisfaction—or dissatisfaction—with a company’s products or services. Since 97 percent of customers look at local reviews to help them decide if a company or product is a good choice, negative reviews can have a huge impact on sales. An advertising agency that offers online reputation management can be invaluable in helping your business overcome and navigate both social media platform commentary and reputation bombs before they start to affect your sales or reputation. These firms live and breathe online reputation management, and they can take a lot of stress off of you as a business owner. They’ll monitor your company’s social media pages, as well as the review sites. They can respond to any problem quickly and effectively, and this will help to negate any damage. If you'd like to find out more about why online reputation management is so vitally important, check out MDG’s helpful infographic below.